Wedges and capris are a match made in sartorial shoe heaven and are oh-so-perfect for warmer weather. One thing to consider when choosing the perfect wedge is the fit of your jeans or capris. If you’re traditional: Opt for capris with a tapered or straight leg to create a long leg line. They should hit 4-5 inches above your ankle, but if your pants are too long, try cuffing your jeans to hit this point for a quick, DIY fix. Try the wedges with capris combo by donning pair of wedge booties or even pump-wedges for a casual-cool look. If you’re adventurous: Try a flared culotte that hits at the same part of your shin and pair them with a pair of lace-up or strappy wedges. 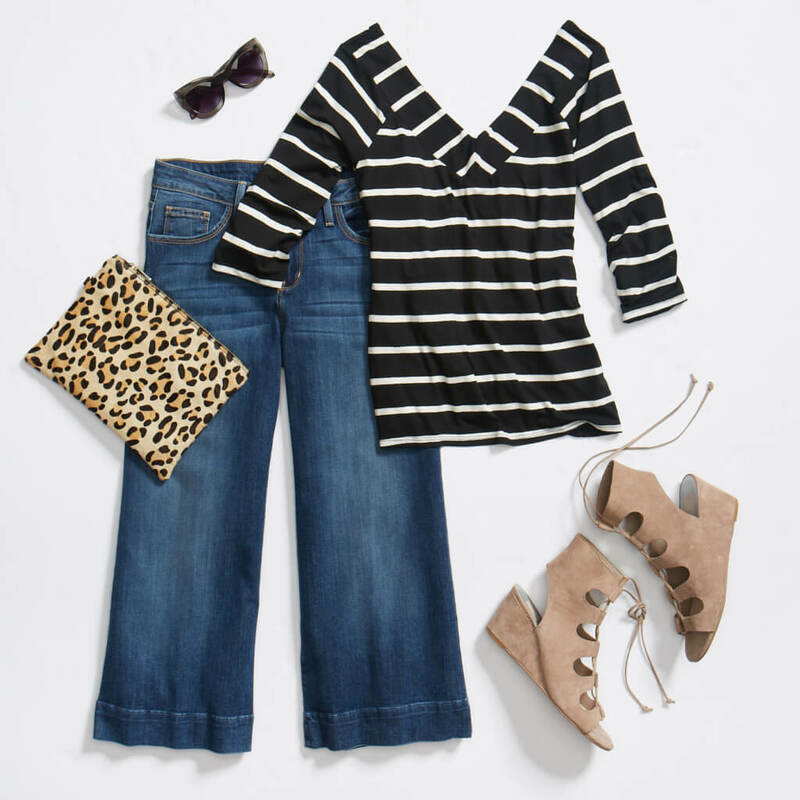 Since you’ll be experimenting with the wedges with capris combo in a flashier way, keep your top half simple and subdued.